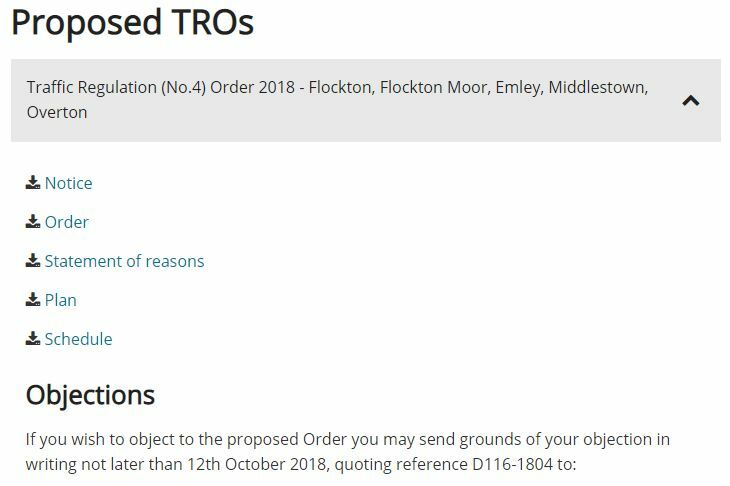 Flockton villagers may, or may not, be aware of the TRO (Traffic Regulation Orders). This relates specifically to that sign you see at Grange Moor roundabout, and a second smaller one, coming down the hill. The original TRO was written in 1971, using the terminology and language of the time. It was updated in 1992 to conform to metrication of the weight, but since then, Police have said that the prohibition cannot be enforced. This has led to a re-write, costing Kirklees Council £5,500. However, what the wording on the sign should say is up for some debate, as ‘No access To M1 through Flockton village’, didn’t actually help residents. 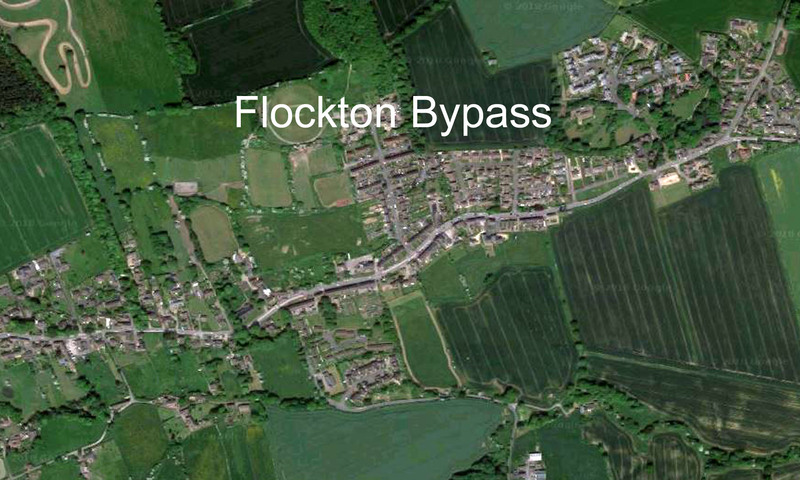 The feeling of the Bypass group, is that the sign should properly enforce the ‘agreed with Wakefield’ gyratory system, whereby HGVs over the stated weight limit, should only enter Flockton from the east side (Midgley side), towards Grange Moor, and not from Grange Moor, travelling eastwards through the village. Using a sign that says ‘Except for access’ could possibly be abused by HGV drivers, who pretend that they are making deliveries. 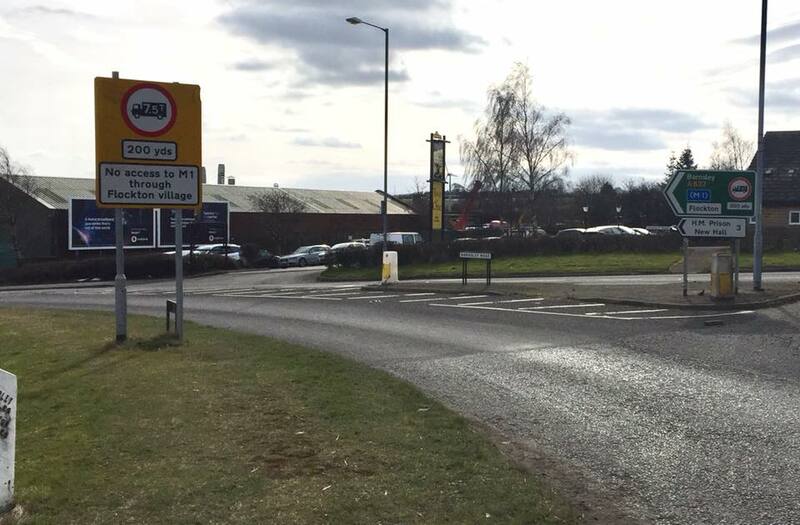 To avoid any confusion, or excuses, HGVs should be made to enter and leave the village in only one direction – regardless of whether they are actually delivering, or not. We are not wishing to stop important local traffic, such as farmers, buses, or emergency vehicles – this is purely to prevent the through traffic of articulated lorries/HGVs over 7.5Tonnes in weight. Next PostNext Time for an update may be, Yorkshire Life?